The fairway slopes evenly uphill to this hole. 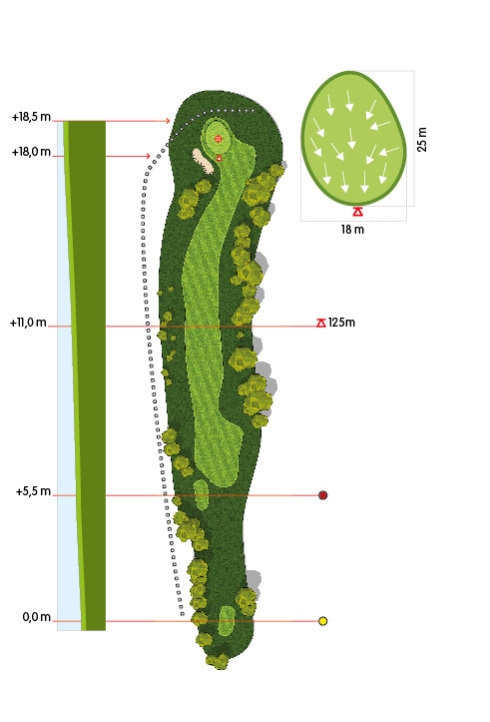 Difficulty: out-of-bounds, bushes and trees on the left along the whole length of the hole; bunker on the left of the green and out-of-bounds behind it. Green wirh gentle slopes.